Paw Print Memories Photography offers a wide range of beautiful and high quality photographic products. I can help you pick the ones that fit your home and style the best. It's time to let the pictures of your best furry friend become the center of attention! Not all photographic prints are equal and you deserve the best. Your images are printed on professional lustre photo papers so that you always receive the longest lasting and highest quality photographic prints available. 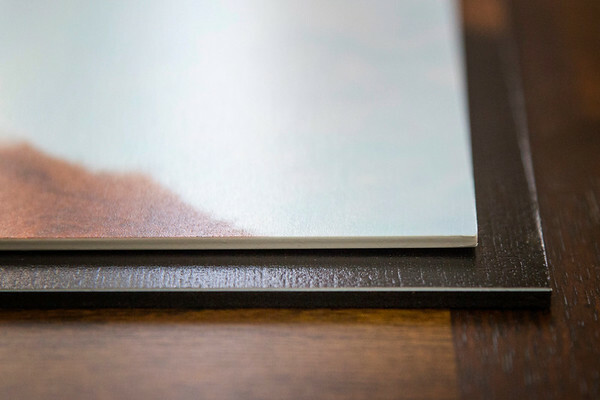 The prints have a linen texture that adds a classy fine art look to your images. And since I don't want your pictures to warp and wrinkle overtime, the prints are mounted on a super smooth plastic mounting substrate adding great durability to all prints. 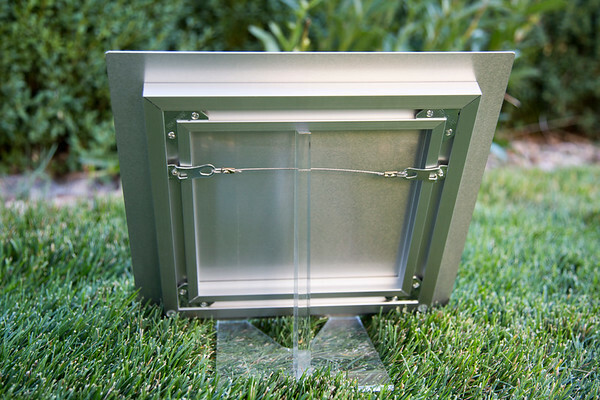 These 5x7 or 8x10 boxes are a great way to get a lot of artwork with flexible display options. 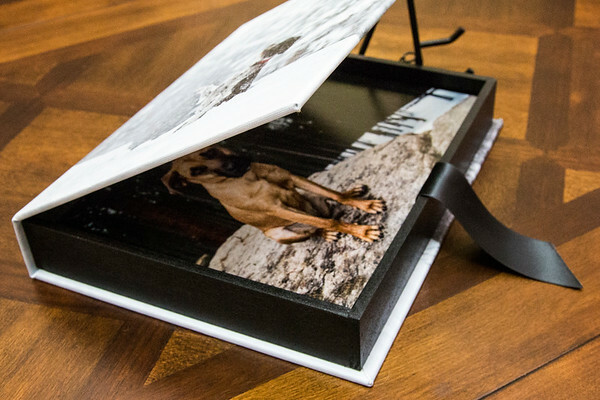 The box is customized with a photo of your choice and can hold either 10 or 20 images mounted on a rigid black backing. You can alternate the images you want to display on the included easel. Why not add a frame to your beautiful images? There is no need to run around framing shops by yourself. I make it easy for you. I offer a variety of beautiful wooden and metal frames. 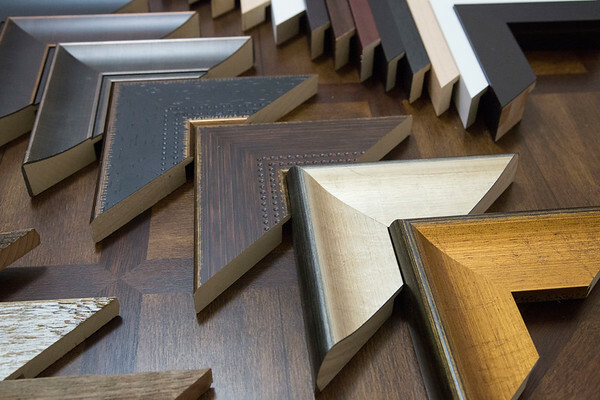 Just pick the type of frame you like and I will hand deliver your framed wall art. All you need to do is hang it on your wall. My Fine Art Canvas Wraps are printed directly onto museum-quality canvas material using high-quality archival inks. 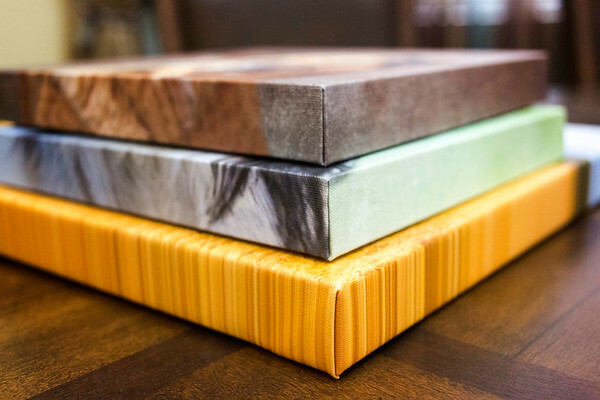 Your picture is tightly wrapped around a wooden frame and looks great from any angle. For an even more classy look, add a float frame. Wire or saw-tooth hangers are available. You've never seen a more brilliant and impressive print! Colors are vibrant and the luminescence is breathtaking. Detail and resolution are unsurpassed! Thanks to the inset frame, the print appears to float away from the wall when hung. All of your friends will want one! Can't decide which picture you want to hang on your walls? How about keeping them all in an album? 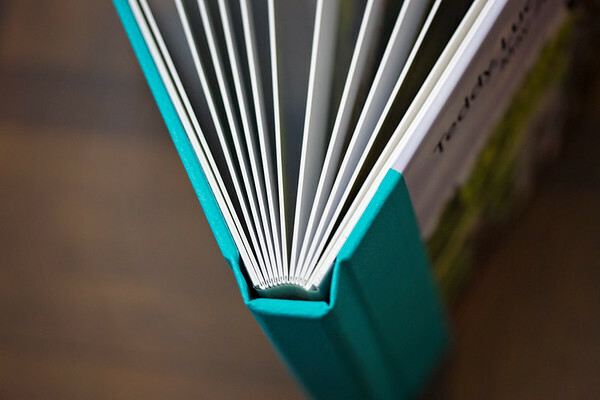 Beautifully crafted and designed just for you, these albums have thick lay-flat pages and variety of beautiful covers to choose from. What a perfect keepsake! Also offering wood prints, acrylic prints, acrylic blocks, and digital file collections. Please, contact me for a full pricing list. Let me answer the most common QUESTIONS.